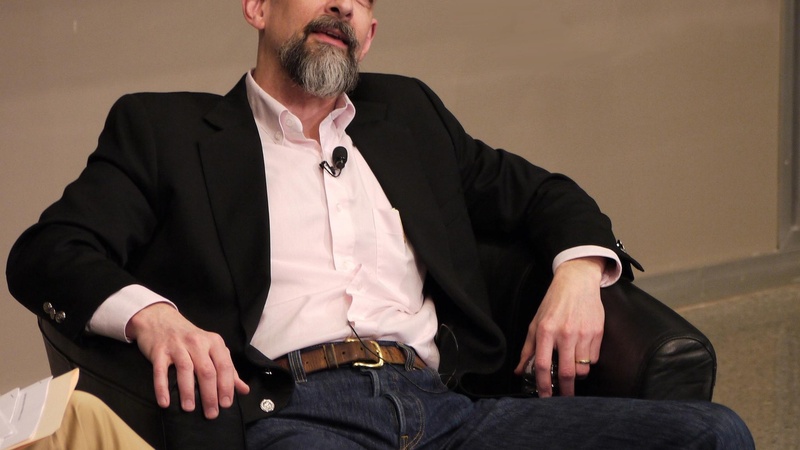 Michael Silverblatt finds Neal Stephenson a sort of contemporary Dickens. Stephenson likes the praise, but reminds Silverblatt that it's easier than it seems, you just keep the reader turning the pages. Silverblatt claims the distinction between science fiction and mainstream literature is erased in Stephenson's trilogy. Stephenson says he's uncertain, but enjoys what he's doing, it's a good gig, and he likes being paid to do it. Stephenson’s triumphant. Silverblatt, ashamed, is left tearing out his hair. Somewhere in there, they discuss Some Remarks: Essays and Other Writing.